The Outdoor Industry Award winning Fraggle from Edelrid is a, cleverly designed, comfortable and easily-adjustable full-body harness for kids. 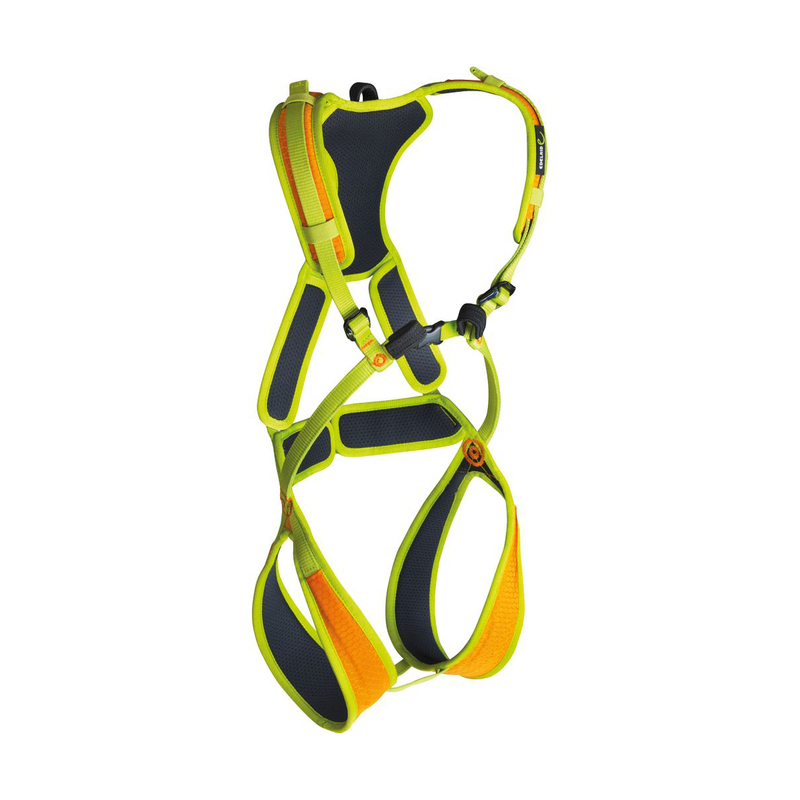 It's perfect for very small children or beginner climbers as it features an additional tie-in loop at the back which means lighter, less confident kids can be easily lowered from steep faces. The simple adjustment system and 3D mesh padding means that kids will stay comfortable and feel safe all day.